What is dermatitis? Atopic dermatitis is one of the 7 most common types of dermatitis. 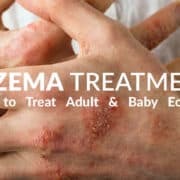 Many unknown facts remain to be discovered about the most frequently observed type of dermatitis, atopic dermatitis, popularly referred to as eczema. Modern medical science has yet to discover just what causes it and how it can be cured. However, given its prevalence (28 million Americans are estimated to suffer from it), it’s definitely worth discussing. Dryness of the skin. Skin that is affected by atopic dermatitis becomes unable to preserve its moisture, for any one or several of the causes outlined below. The skin then becomes reddened, raw, very itchy, and even scaly. Skin discoloration occurs and irritated patches of skin can turn brown, form a crust, ooze, weep, and even bleed. Though it is not contagious, eczema can spread all over your skin. It usually starts on the head, buttocks, or at limb articulations (ankles, wrists, knees, nape of the neck, etc.). The more severe cases of atopic dermatitis will cause the skin to ooze, crust, and thicken (or become lichenified). The rash will become even harder to control, while the skin turns red, scaly, and develops pustules. Children born into families with a history of hay fever, other allergies, asthma, and atopic dermatitis are more likely to develop the condition in their infancy (before the age of 1). Lifestyle factors. Research has revealed that the babies of older mothers are more likely to suffer bouts of eczema rashes. The condition is also more likely to afflict middle and upper class urban families living in cold climates. 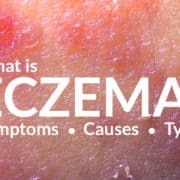 There is a plethora of factors that can aggravate an eczema. High temperature variance, especially becoming overheated or being exposed to a cold, dry climate. Other skin infections – bacterial infections can particularly aggravate eczemas. It’s important to distinguish between atopic dermatitis and allergic reactions. This is why most doctors ask about your personal and family history with allergies and will often run various allergy tests to determine the cause of the rash. Avoid triggers. If you have any allergies, make sure to steer clear of the allergens. Try not to sweat too much or expose yourself to ample variations in temperature. Avoid overdressing or wrapping children and opt for loose, rather than skin-tight clothing. Bathe in lukewarm water. Contrary to popular belief, bathing and showering are not bad for your rashes. However, you should always avoid scalding hot water and opt for a milder temperature. Also consider adding soaking oat products to your bath, such as colloidal oatmeal, as they have been known to reduce irritation. Furthermore, make sure to moisturize the skin immediately after the bath, as this helps lock in the moisture better. UV (ultraviolet) light therapy. You can choose between various types of such therapy, including phototherapy and PUVA (psoralen plus ultraviolet light therapy). Seborrheic dermatitis is one of the 7 most common types of dermatitis. This type of dermatitis is also known by a lot of other names—but the most common one is simply dandruff. Medical professionals may refer to it as cradle cap, seborrhea, seborrheic eczema, sebopsoriasis, and pityriasis capitis. It’s an inflammatory disorder of the skin, with typically mild manifestations, that is more prevalent in men than in women. It is estimated that more than 50 million people suffer from Seborrheic dermatitis in the U.S.
More often than not, seborrheic dermatitis appears on the scalp—which is why we know it as dandruff. However, it can also emerge on other parts of the body. For instance, babies get it on their buttocks, which may cause it to be mistaken for a diaper rash. You can get it almost anywhere on your face—but especially around the nose, on the eyelids, and behind the ears. It can also emerge in most places with skin folds: in the middle of your chest, under your breasts, around the navel, under the arms and legs. It’s easy to mistake seborrheic dermatitis for other disorders, such as a common allergy. That’s because of how it looks: reddened, itchy, burning skin, with an oily/moist texture and white or yellow flakes. Also, due to this condition, you may also develop blepharitis, which is red, crusty eyebrows. The presence of a certain yeast-like bacteria on the skin. Men are more prone to dandruff than women. Skin type. The oilier your skin, the more likely you are to develop dermatitis. Anti-inflammatory products. These will typically come in the form of shampoo, cream, or ointment. They usually contain prescription-strength substances (desonide, fluocinolone, or hydrocortisone). You simply apply them to the affected area, which is usually the scalp. 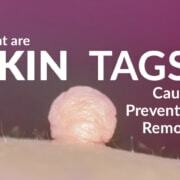 However, bear in mind that prolonged use (we’re talking months), can cause your skin to thin and/or develop lines. Antifungal products. This can either be a shampoo + medication combination (such as ketoconazole, combined with Temovate, or another clobetasol scalp product). Use these twice a week. As an alternative, you may also opt for medication, which is typically Lamisil, or another drug containing terbinafine. Due to the second option’s serious side effects (allergies, afflictions of the liver), the first one is always preferable). Proceed with care, when it comes to creams or lotions that have calcineurin inhibitors like tacrolimus (brand name: Protopic) or pimecrolimus (brand name: Elidel). Not only are they slightly more expensive than mild corticosteroids, but they also pose the threat of increased cancer risks. On the upside, they do have fewer side effects than the afore-mentioned steroids. Anti-bacterial creams or gels. These include products such as Metroloton and Metrogel, which both contain metronidazole. Apply them twice per day to the affected area, until your skin starts to clear. Light therapy and drugs. The drug in question is psoralen, which comes both as an oral suspension and a topical cream. It is followed by exposure to photochemotherapy. Bear in mind that people with thick hair might not see improvements from this treatment. What is dermatitis? Dermatitis herpetiformis is one of the 7 most common types of dermatitis. Chronic blisters. These are usually located on extensor surfaces: buttocks, back, knees, groin, face, scalp, elbows, etc. They are symmetrically disposed and range from minuscule sizes to up to 1 cm in diameter. The only mucous membranes on which they typically appear are the mouth and lips – and even this is a comparatively rare occurrence. Serious itchiness. Sometimes, before the blisters emerge, the sufferer experiences soreness and burning. Since they’re so itchy, the patient can even end up scratching off the blisters before they reach a doctor. This is actually the first stage of the disease, in which the skin may become somewhat discolored. Then, the papulovesicules (blisters) appear; in the final stage, the lesions heal and the skin typically changes color—by darkening or becoming lighter than the rest of the body. Crusts are likely to form as a result of intense scratching. Link to gluten ingestion. If you don’t curb your gluten intake, you may note that the symptoms will increase their intensity with time. On a more positive note, if you do treat the condition and avoid eating gluten altogether, the disease will usually vanish, without ever returning again. Since dermatitis herpetiformis is linked with coeliac disease, sufferers can also experience symptoms of the latter, such as fatigue, bloating, loose stools, and abdominal pain. It’s essential to get a proper medical diagnosis for this condition, since, not only does it accompany another life-changing disorder, but it can easily be confused for something it is not. Such typical mix-ups include contact dermatitis, drug rashes, dyshidrosis, even scabies. To get a sound diagnosis, your blood needs to be tested for IgA antibodies, and you also need a biopsy revealing IgA deposits. The disorder is usually treated with dapsone, which reduces the itchiness over the short span of 2-3 days. However, this drug will not take care of any other symptoms of coeliac disease. Interestingly enough, it remains unclear how the anti-bacterial dapsone can prove effective in treating a disease not caused by bacteria. At the same time, such treatment also leaves you vulnerable to blood conditions. As a sufferer of coeliac, you are going to have to maintain a strict gluten-free diet, possibly for the rest of your life. In time, as the symptoms are likely to diminish, feel free to stop the dapsone dosage, as per doctor instructions. Bear in mind that this an autoimmune disease, so you are also likely to be suffering from associated conditions, such as lymphoma in the intestines and thyroid issues. Due to its autoimmune character, an exaggerated immune response is likely pointing to other malfunctioning areas, not related to digestion. Finally, since this disorder is a manifestation of coeliac, you are also more prone to certain types of gut cancer, thyroid disease, and osteoporosis. Contact dermatitis is one of the 7 most common types of dermatitis. You already know a lot about this condition, at least where its main symptom is concerned. 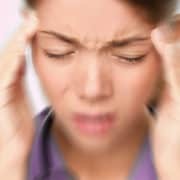 You touch something and your skin turns red, immediately becomes tender, and is frequently also sore. Your name for it is likely to be ‘rash’, but the proper medical term is contact dermatitis. Your skin will redden, you might develop blisters, and the skin will be raised and inflamed. The blisters can either ooze or be dry. The skin may darken, develop sores, or turn leathery. The symptoms will appear right around the area where you came into contact with the irritant or allergen. You may experience itchiness (for allergies) or pain (for rashes caused by irritants). For irritant contact dermatitis, you can also expect swelling, cracking of the skin, tightened/stiff skin and open sores, caused by skin crusts. 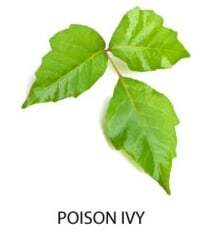 Poisonous plants, such as sumac, ivy, and oak. Hair dyes or hair straightening substances. The peel of citrus fruit (but other parts of the fruit as well). 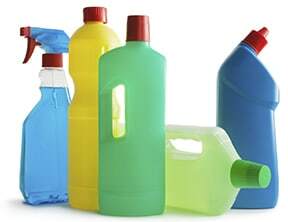 The alcohol ingredients in various hygiene and cosmetic products (soap, lotion, perfume, shampoo). Jewelry made of nickel or gold. It is never the case that you develop contact dermatitis from the first time you touch a triggering substance. If you believe that you do, it’s likely because you’ve touched that trigger before and your skin has already been sensitized to it – but you were simply not aware of it. Allergy contact dermatitis develops a couple of days after coming into contact with the allergen. Soap and even water – for professionals who keep their hands in water for long spans of time, such as hairdressers, cooks, bartenders, medical professionals, etc. These rashes show up immediately. If you suffer from eczemas, you are more prone to this type of rash. A third, but far less common type is photo-contact dermatitis, in which the rash is caused by the active ingredients in sunscreen react when exposed to the light of the sun. Recommend that you wear gloves, to avoid irritating the affected area even more. Avoid further contact. This is especially important if you don’t know what caused the rash in the first place. Touching the affected area can cause the rash to spread. Take a lukewarm bath. Better yet, wash the affected area with a mild, hypoallergenic soap, with no irritants, and cool water. This very simple self-care method can be surprisingly effective and might even do away with most of the symptoms. Apply hydrocortisone. This works for rashes that haven’t spread out just yet. Apply the cream to the small initial spot affected by the condition. Use compresses. If you’re seeing blisters, treat them with a cool, moist compress, applied to the affected spot for half an hour, 3 times per day. Use moisturizer. Make sure this is irritant free and genuinely nourishing for the skin. You need to help reconstruct the damaged layer of skin through several applications of moisturizer each day. Take antihistamines. Opt for the pill version, because topical antihistamine lotions might actually irritate your skin more. Only apply the lotion at your doctor’s recommendation. What is dermatitis? Perioral dermatitis is one of the 7 most common types of dermatitis. The name of this condition will tip you off to just what it is: a rash that develops around the mouth. It is most frequently seen in women, who make up 90% of sufferers. However, it can also be experienced by men, too. Periorificial dermatitis – it appears around orifices on the face (eyes, nostrils, mouth), as well as in the genital area. Perioral dermatitis – it only appears on the lower half of the face, around the mouth. Periocular dermatitis – appears around the eyes, namely on the eyelids. Blister eruptions on the chin, upper lip, and possibly also on the eyelids. Sparred skin around the lips, which then becomes discolored. Clusters of small blisters, 1-2mm in diameter. 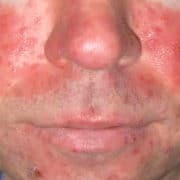 Although perioral dermatitis resembles rosacea induced by steroids, unlike that condition, it does not emerge on the cheeks. Changes in the skin’s microflora. – Topical steroids, such as those used in treating other eczemas. – Nasal and oral steroids, as well as inhalers with steroids. – Make-up, cosmetic lotions and creams, sunscreen. – Oral contraceptives, or other hormonal changes. Perioral dermatitis can usually be diagnosed straightforwardly, without any need for specific tests. It can be treated fairly easily and takes some two weeks before it is fully healed. To avoid contracting this condition, you should also avoid using any creams that might clog your pores or effectively block your skin. Also, if you’ve been prescribed topical corticosteroid creams for other conditions, apply them only to the affected areas, no more often than twice a day, and in the lowest concentration specified in the prescription. Immediately stop applying any creams, lotions, sunscreen, and topical steroids. If other conditions flare up after discontinuing the topical steroid treatment, switch to slow withdrawal or to a less potent cream. Alternatively, try applying the prescribed cream less frequently. Only wash your face with water while you have the rash. After it subsides, you can use a non-soap bar, or a cleansing/tonic lotion. Opt for liquid sunscreen instead of cream formulas. What is dermatitis? Stasis dermatitis is one of the 7 most common types of dermatitis. If you’ve got poor circulation in your legs and, especially if you’re overweight, very sedentary, and over 50, you’re likely to develop this fairly common skin condition. Heart disease is also a factor that puts you at increased risk. How can you avoid developing stasis dermatitis? Simply sit less. By doing so, you avoid developing swollen lower legs, or peripheral edema. Though stasis dermatitis is not uncommon, complications in severe cases can lead to skin ulcers. Heavy or dull legs – worse so when you stand. Early on, with the onset of stasis dermatitis, you might see thinner skin on your legs and experience itchiness. Try not to scratch it, as this will cause lesions and oozing. With time, your skin might turn brown, become thickened, lumpy, or hardened. Eventually, in the late stages of the condition, your skin will break into sores or ulcers. These sores usually appear on the inside of the calf. Women tend to be more affected by stasis dermatitis than men—especially those who meet the criteria listed above. Here’s what causes the condition: blood tends to accumulate in the lower part of the legs. This, in turn, will increase blood pressure in the veins. The smallest of those vessels, i.e., the capillaries, will break and leak protein into the tissue. This is why your legs swell, or why you develop peripheral edemas. One of those proteins leaked into the tissues is fibrinogen. Though no direct link has been established between the presence of this protein in the tissue and stasis dermatitis, it is the one directly responsible for the creation of fibrin cuffs. They effectively cut off oxygenation to the tissue, thus damaging and eventually killing cells. Hypertension, or elevated blood pressure levels. Venous insufficiency, which prevents the veins from properly sending blood from the legs to the heart. Deep vein thrombosis, also known as leg vein blood clots. If you’re experiencing pain, ulcerated skin, and oozing, it’s definitely time to see a doctor. Aside from examining the skin on your legs, they will order a Doppler ultrasound, which checks blood flow to the legs via sound waves. Sit with your feet propped up. Avoid skin irritations caused by clothing that is too tight. Avoid certain creams and lotions: lanolin, calamine (dries the skin), neomycin (and other topical antibiotics), benzocaine (and other drugs for numbing local areas). Corrective surgery for varicose veins. Treatment for congestive heart failure and high blood pressure. Ointments and/or creams with steroids. It’s important to address this condition, before it aggravates and turns into permanent scars, bacterial infections of the skin, bone infections (osteomyelitis), and chronic leg ulcers. What is dermatitis? Nummular dermatitis is one of the 7 most common types of dermatitis. This condition derives its name from the Latin word ‘nummus’, i.e. ‘coin’. In a similar vein, it’s also known as discoid dermatitis. Both these facts are actually references to the main symptom of nummular eczema. Nummular neurodermatitis, as the condition is alternatively known, is chronic and most often found in aging men, past 60-years-old. It is manifested through the appearance of round, coin-sized patches of skin that become itchy, dry, scaly, and discolored. They most often emerge on the buttocks and legs, although they can appear anywhere on the body. 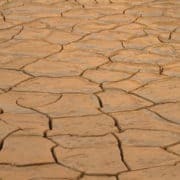 People with dry skin are particularly affected by this condition and dry, cold climates are particularly conducive to the emergence of the disease. The condition is not genetically determined, it’s not linked to any dietary allergens, nor can it spread from one person to another. It is usually caused by dry weather and aggravated by any factor that contributes to the drying of the skin: stress, excess caffeine intake, and other dehydrating agents. To help diagnose the condition, your doctor is likely to examine the skin and possibly order a patch test. It can be treated at home, especially through making sure the skin is properly moisturized at most times. To this end, non-irritating creams, lotions, and bath oils are recommended. In more severe cases, doctors will prescribe topical corticosteroid creams, oral antihistamines, and even UV light therapy.